Spring is, well, springing into action before our very eyes. Buds are swelling. Birds are singing. And we know from experience that, at this time of year, customers everywhere are turning to their paint charts, searching for the best green paint to use on the exterior of their houses and in their gardens. Let's take a look at some of the best greens out there for exterior use. The greens we find that are most consistently popular with our customers, for outdoor use, are those that harmonise with their surroundings for a gentle, and, indeed, genteel, feel. Our first three picks are some of our best-sellers by Dulux, whose Weathershield exterior paints are fantastically hard-wearing. 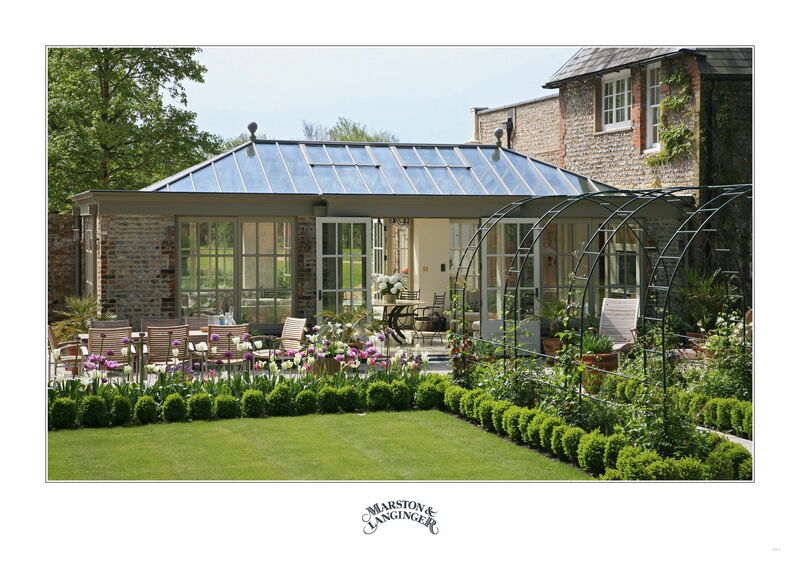 To get a similar look to this beautiful orangery by Marston and Langinger, try Dulux Moorland. You may notice that many of the greens we're recommending contain more than a touch of grey. 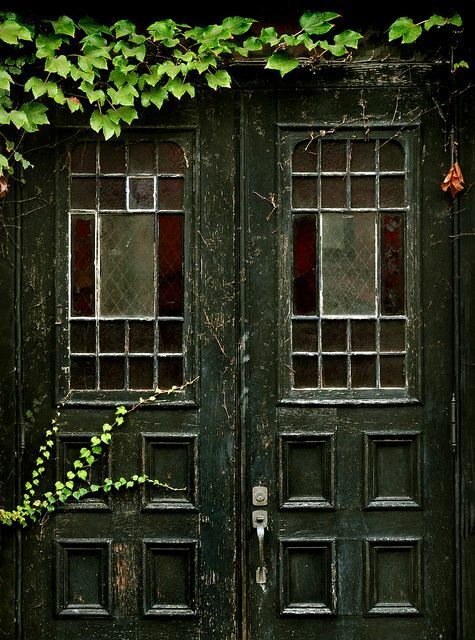 When slightly greyed colours are used on front door in hot climates, they might look dull and drab but in England's, frankly, slightly grey-skied outdoors, greyed hues, if chosen carefully, take on a matchless serenity. 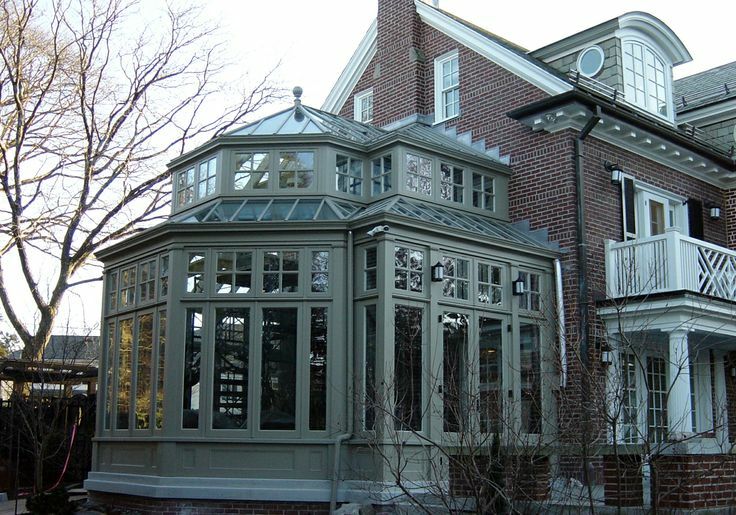 For the stately effect of this taupe-green conservatory, try Dulux Lizard. Dulux Hopsack has a warmer, creamier feel. 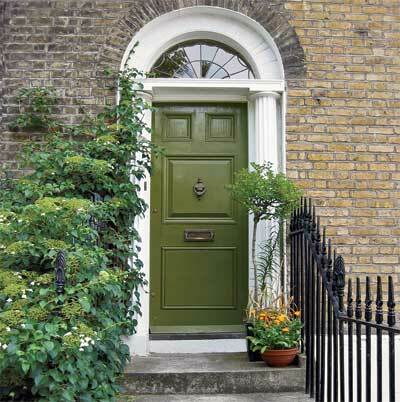 For that hard-to-define Cotswold front door green, Farrow and Ball colours work extremely well. Who can resist the lure of French Gray?...but be careful if your site is too sunny, it can look somewhat washed out in the wrong conditions. 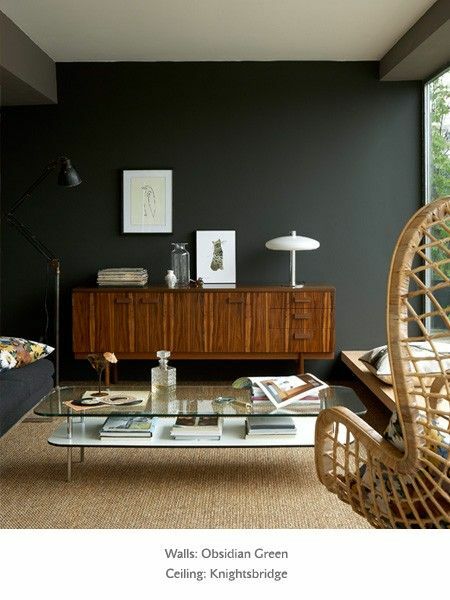 Get it right, though, and Farrow and Ball French Gray has an unrivalled sophisticated warmth. If you're looking for a refined mid-green then Farrow and Ball's Green Smoke works beautifully, shifting easily between green, grey and blue, depending on the orientation of the exterior. For painting outside furniture, it's a good idea to choose slightly brighter colours, which will give a gentler effect once they are in situ, particularly if they are destined for a sunny spot in your garden. Farrow and Ball Cooking Apple Green works well for this. And how's this for a rich, dark green? Little Greene's Obsidian Green keeps its depth wherever its painted which makes it an excellent choice for rooms which open out onto your garden. Little Greene's Invisible Green has been designed with planting in mind to create a cohesive feel to your house and garden. It's the kind of colour that has a charm of its own, even if falls into disrepair. For a great heritage paint, our last choice is Little Greene's Light Bronze Green, which is based on a popular Victorian colour used to paint doors and railings in the 19th Century. Have you been feeling overwhelmed by choice? It's a problem we're proud to help our customers overcome every day. Come into Relics of Witney and take advantage of our huge experience, to let us help you find your perfect exterior green paint colour.